Hey Internet! 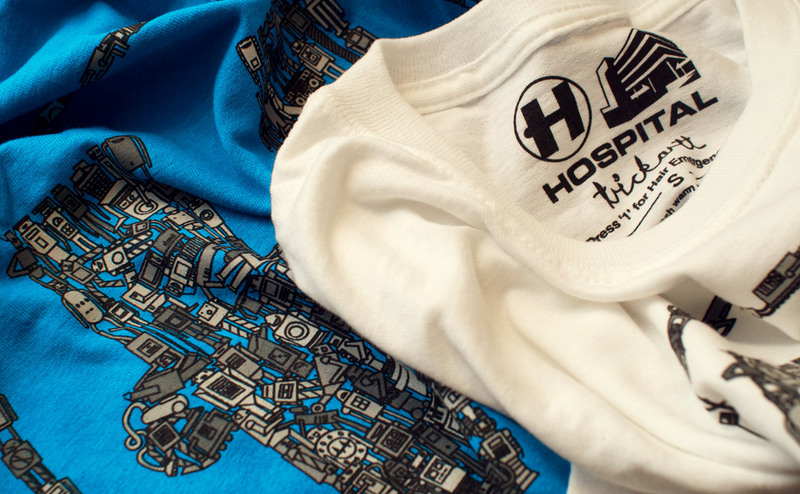 Here’s something cool I did recently – one of a few new T-shirt designs for Hospital. Maybe you know that most graphic output at Hospital is my work anyway, but this design feels a lot more Ricky Trickartt than most things I do for them, which is why (like George Forman) I put my name on it! There are robots on it. Lots of robots. And a lot of other electronics, both modern and obsolete too. And best of all, they’re all unique! Tall robots, short robots, robots on wheels, vacuum cleaners, telescopic robots, dancing robots, and it wouldn’t be right without a washing machine or two as well. So what’s with the hair emergency? The phone menu style comes from the robots, the emergency is because it’s Hospital, and the hair problems are all me. Confused yet? 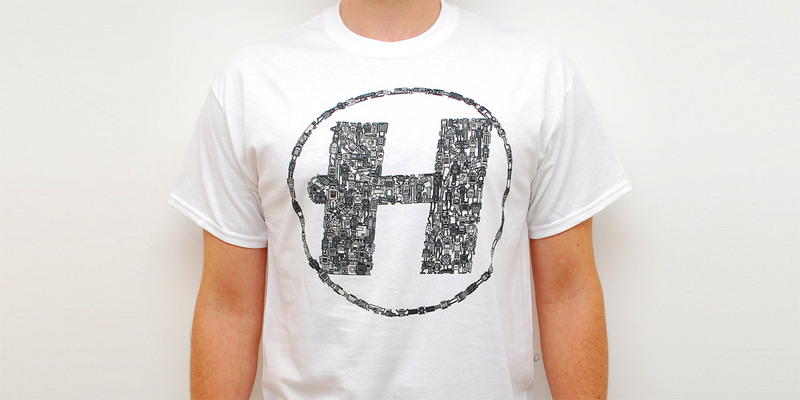 Here’s what you need to do: Go to the Hospital Shop and buy a Robots T-shirt, in blue or white, wear it and love it. Alright!